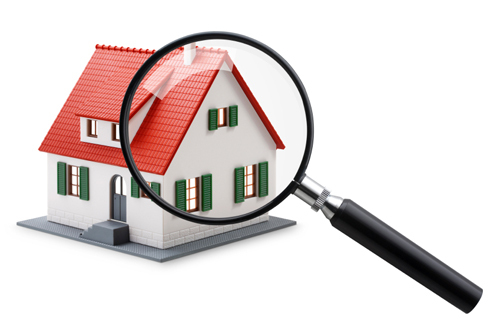 In order to identify any active subterranean termite infestations in your home InspectorUSA will perform a thorough termite inspection of all access able areas including crawl spaces, basements, garages and interiors. We will also inspect exterior areas around the home such as mulch beds, exterior foundations, fences, old tree stumps and wood piles. Upon completion we will prepare a detailed report of our findings. If our inspection uncovers termite activity in or around your home we will perform a spot treatment (at additional cost) with a generic imidacloprid, a non-repellent liquid termiticide designed to control termite activity in these areas as quickly as possible. 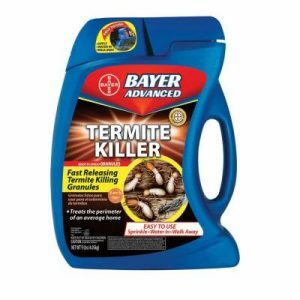 Bayer Termite Killing Granules are a granulized version of imidacloprid that can be applied to the surface of the ground around your home to provide an added layer of protection from an attack from termites. As part of this prevention program we will apply granules twice a year during our regularly scheduled visits to your home. 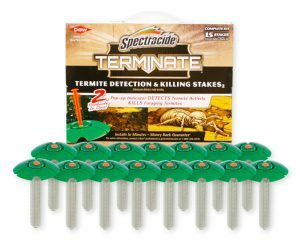 As an additional layer of protection and to allow us to monitor your home for termite activity we will install Spectracide Terminate Termite Detection & Killing Stakes in the ground around the perimeter. The stakes are impregnated with Hexaflumuron an insect growth regulator (IGR) that works by stopping the insect’s growth. It interferes with chitin synthesis, which termites need to form a new exoskeleton. Hexaflumuron is part of strong termite monitoring program and is used in baiting stations such as Spectracide Terminate Termite Detection & Killing Stakes where termite activity may be present. Termites are social insects that share food and feeding sites. Foraging termites recruit nest mates to feeding sites by leaving a chemical trail to the site. After a few termites feed on the Hexaflumuron bait, it is expected that the other members of the colony will also feed on the bait leading to the demise of the colony. After installation we will return quarterly to inspect and service the stations for you replacing them as needed. 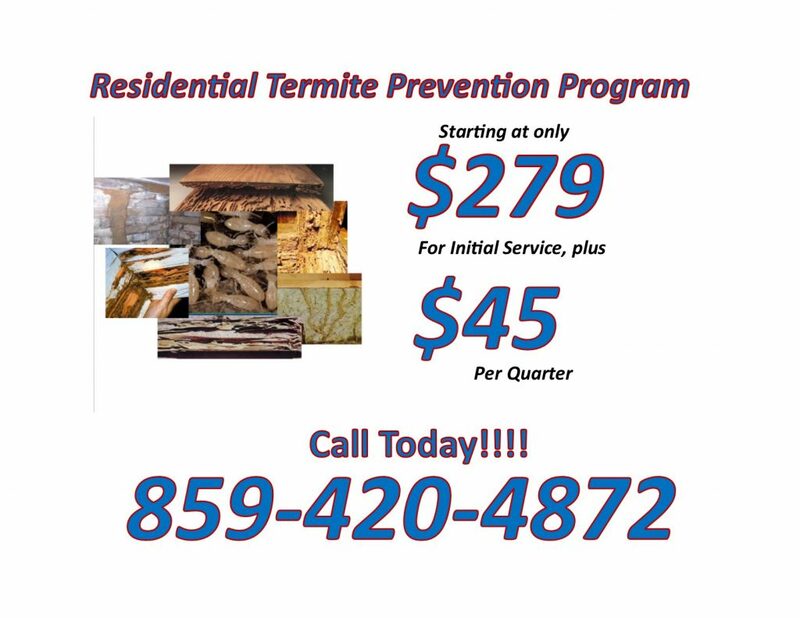 The InspectorUSA Residential Termite Prevention Plan is fully guaranteed with a ongoing full treatment guarantee. If termites show up in the house while you are being serviced under this program InspectorUSA will provide a full chemical treatment at no additional cost! That’s a $300 – $1000 savings! Now as we said earlier, one of the great things about this program is that it is so affordable!!! Compared to chemical or other baiting termite treatments that run anywhere from $700 – $1500 . Note: Control of termites also involves homeowner assistance by reducing possible termite food sources such as woodpiles and addressing moisture sources. Homeowners may be asked to repair plumbing or roof leaks. This is an important step in controlling an existing infestation as well as preventing future ones.